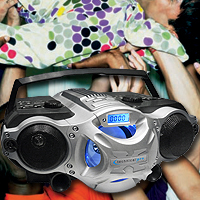 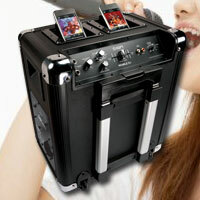 Lightweight, compact portable rechargeable speaker with iPod dock and USB input. 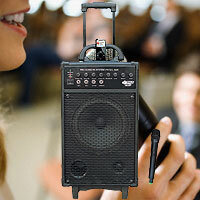 Available in black, blue, pink and silver. 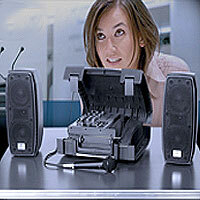 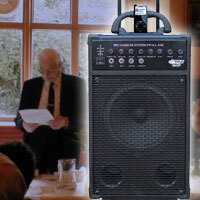 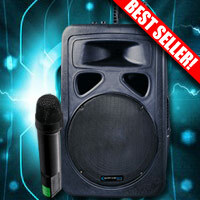 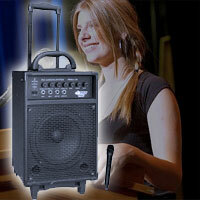 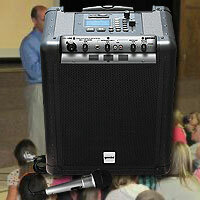 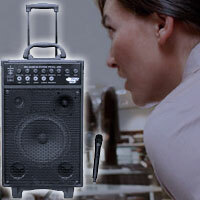 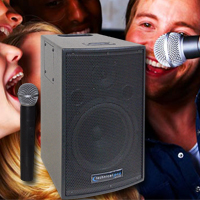 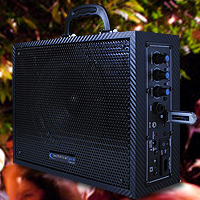 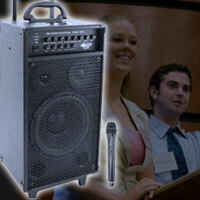 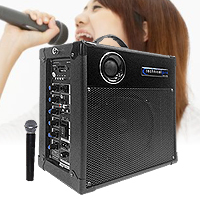 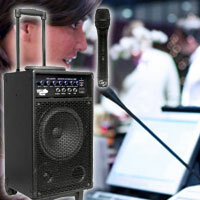 Portable PA system with rechargeable battery, two compression drivers and USB / SD inputs. 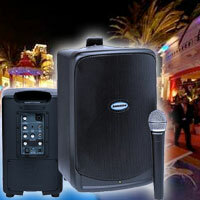 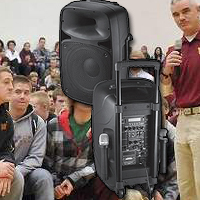 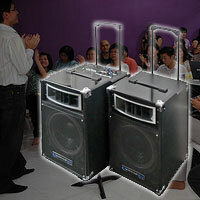 12" Portable Loudspeaker System with 2 Wireless Microphones, FM Radio, LCD Readout, Casters and Luggage Cart Handle. 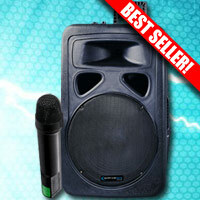 Features Rechargeable Battery, USB and SD Card Readers and Bluetooth Music Streaming. 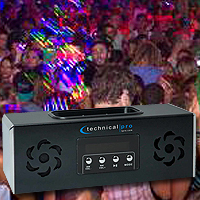 Technical Pro's UPARTY series is practically a party on wheels.Comes equipped with a built-in amplifier, two speakers, dual microphone inputs to go along with USB and SD Card inputs will keep the party going all night. 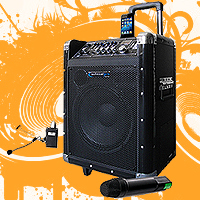 Mobile DJ enables you to take the party anywhere with dual docks for iPod and iPhone, inputs and effects for microphones, and a powerful speakers system all in one box.